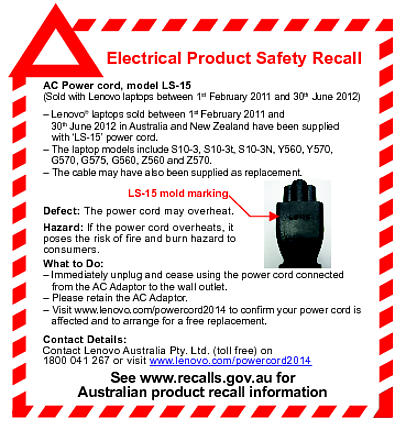 Lenovo is conducting a worldwide recall the “LS-15” power cords that were sold with Lenovo IdeaPad computers from 1 February 2011 to 30 June 2012 as the connector’s electrical insulation may degrade over time, meaning it could potentially overheat and cause burns or start fires. 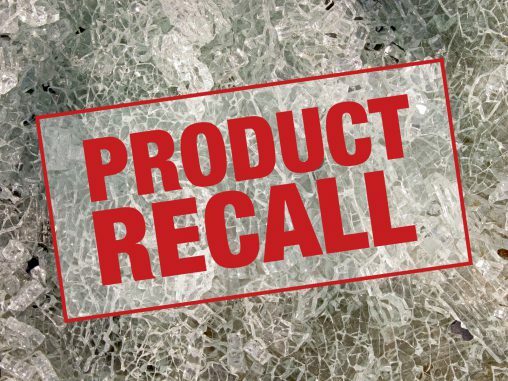 The power cords were either included in Lenovo products, distributed as stand-alone replacement packs, or distributed as a stand-alone option. 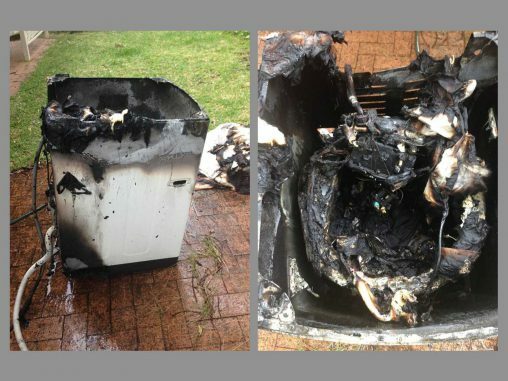 Consumers should stop using the product and visit www.lenovo.com/powercord2014 to determine if they are affected and, if so to arrange for a free replacement power cord. 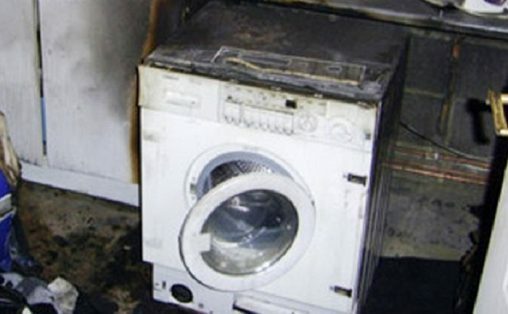 If recalled the power cord should be disposed of but the AC adapator should be kept as only the cord will be replaced.